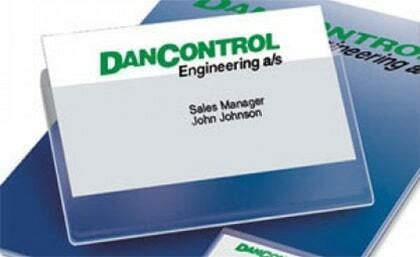 Our #1 seller across ALL categories are our self-adhesive business card pockets! These handy pockets are made of a polypropylene plastic that is clear and strong. They have a simple peel-and-stick backing and have an adhesive that can be re-positioned on certain materials, while offering a very strong final hold. Just peel the liner, stick it wherever you wish, and and then smooth it out. We have both side-load and top-load, top-load being by far the more popular option. The back piece is slightly taller than the front, making it easier to grab the business card if you need to remove or replace it. Some popular applications include ring binders, boxes as label holders, index tab dividers, and more. Self-stick business card pockets are simple, affordable, and functional! 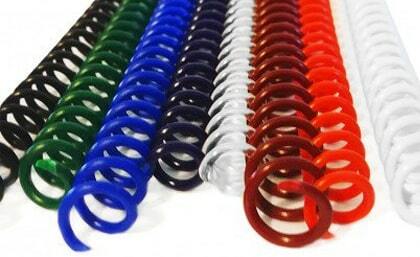 2nd on the list of best sellers are our spiral binding coils. This makes them not only the second most popular product in our entire store, but also the most popular kind of binding. The best selling binding coil sizes are the smaller diameters, specifically 8mm and 10mm, both in the traditional black color and standard 12" length, but other colors and sizes were still above other kinds of bindings available. Spiral binding coils are the most popular way to bind documents because of their flexibility, durability, ease-of-use, and variety of options available. They are easy to cut to size for smaller books, and also come in extended lengths for larger ones. They also look quite professional for the price, especially in the black, white, and clear colors. The pairing of our traditional black vinyl back covers and the elegant frosted poly front covers have surpassed the high gloss covers in sales. They offer a professional and premium look, without costing an arm and a leg. 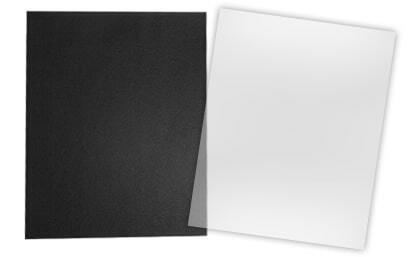 The black vinyl backings are thick, sturdy, and have a texture that looks a bit like leather. The clear frosted front covers are smooth with no texture, so the page underneath is not obstructed.The frost finish looks more expensive than traditional gloss, and elevates the document to a different level of finish. Plus, they are thick and sturdy just like the vinyl backs. In fact, you can choose whether you want a slightly more flexible or a thicker poly. The plastic is eco-friendly and easily wiped clean from dust. Pair these binding covers together for the ultimate presentation. 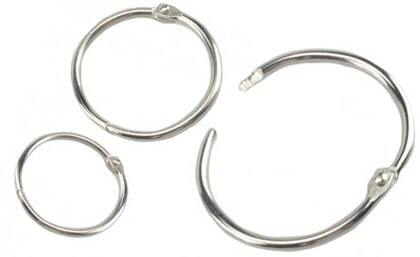 More specifically, loose leaf metal rings. While other rings like the screw lock were still in our top 20, the loose leaf rings have won the race again as the most popular kind of book ring available. The smaller sizes, including both 3/4" and 1" as the top-sold, and we've seen customers use them for everything from basic loose-page binders to fabric and textile swatches. They easily open and close as often as needed with their grooved ends and hinge, but hold tight once they are closed because of their over-aligned setting. They're super easy to use, require no machine other than a basic hole puncher, and you can use as few as one to as many as you want to hold your pages. Plus they are much less expensive than buying in small packs from craft and mail stores. Foiling is my personal favorite product, so I was quite excited to see that customers agree and have it in our top 5 best sellers of 2018! The foil we offer is thermal reactive (with heat) and will attach itself to toner-printed designs on paper. That means that all you need to create stunning metallic foil printed designs is a laminator, foil roll, and printer. This brings the beauty of of foiled pages to your office or home, eliminating the need to spend much more at a print shop. 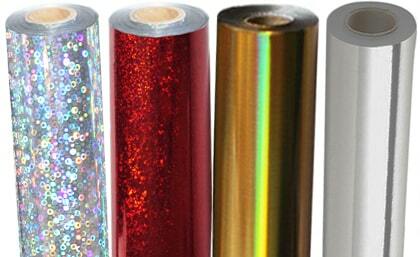 Plus the foils come in so many colors, and even patterns, that you can use them for any design or application you need. Whether it be Christmas cards, printed and framed quotes, business cards, or formal letterhead; foiling has never been more accessible than now. Were you one of the many customers who ordered one of our top 5 products of the year? I want to hear from you with what you used them for! Email me at mallorym@buy101.com and you could be featured in our next blog post! Thanks for reading, and cheers to 2019!